As a business owner, you know that making customers feel valued helps to keep them for life. We here at Webxloo are aware of this as well. That’s why we are offering our CRM system that is designed to effectively manage sales leads, and track where you left off with any of your potential customers. You can then appropriately follow up with those prospects, house all of your contacts in one central location, and provide a 360 degree view of each one of them. Our Webxloo CRM is easy to understand and has a small learning curve so your salespeople won’t have difficulties using it. The interface is very intuitive and user-friendly, meaning you will enable your sales reps to become adept with our CRM system in no time. It’s fully-featured and reliable. We have combined the intuitive front-end interface with a robust back-end to create a system that doesn’t require IT experts to use, rather it connects your sales teams with potential customers in a whole new way. We also have our Mobile CRM app. If your salespeople are mostly out on the road, they can still reap the benefits of our CRM with a smartphone. With our iOS and Android mobile apps your Sales, Marketing and Support teams can access key information in real time, manage leads on the fly, and treat customers like family 24/7 regardless of their location. A white label possibility. Do you want the CRM System to have your company’s brand name and logo? Not a problem! You can have our Webxloo CRM or CRM Mobile app functionality to include your company’s name. Seamless integration with any type of business software. What else can Webxloo’s CRM system do for you? Keep track of the entire life cycle of your customer relationships with each stage: from the initial point of contact through to conversion. 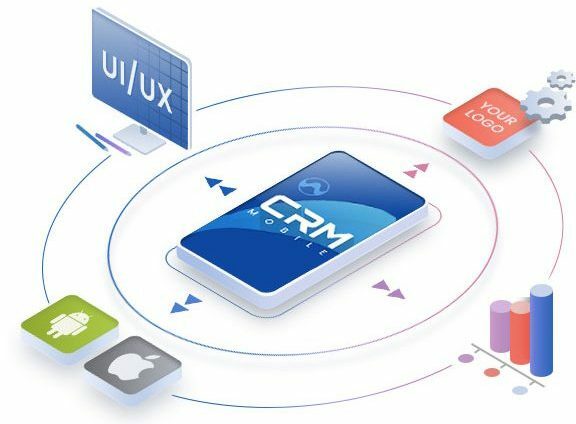 The CRM automatically records everything that your salespeople are doing to help your customers and stores this valuable information in one unified place. Having such an extensive amount of data in the palm of a hand, every member of your team can get familiar with a client in a matter of seconds regardless of how long this staff member has been working for you. 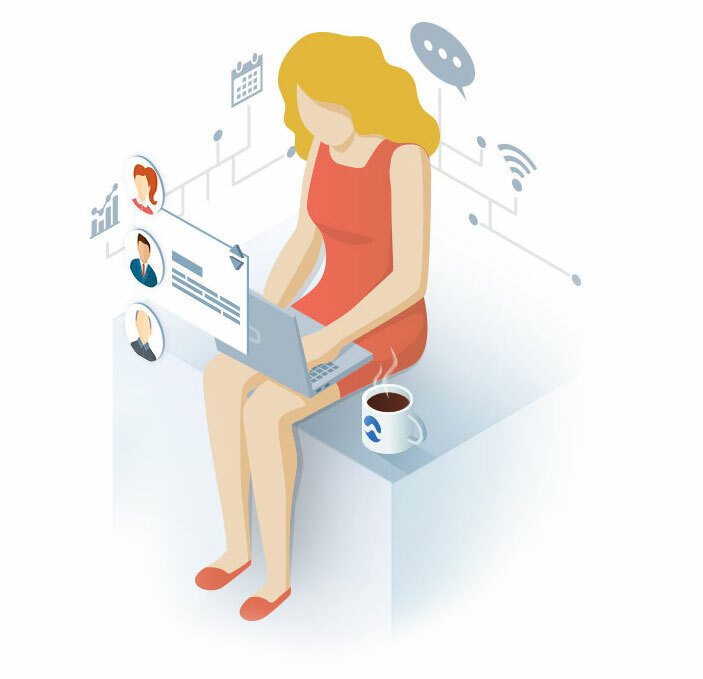 The CRM’s functionalities help keep your team up to date with your customers in a way that would be more difficult doing it with spreadsheets or emails alone. 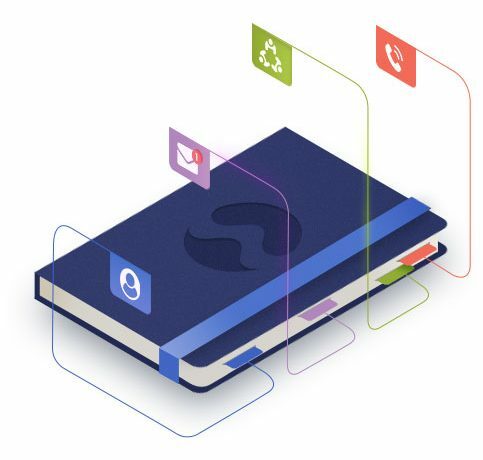 A Contact Book (Targets, Leads, Contacts, Accounts, Opportunities) includes your potential customers’ data that is accessible by the entire team, but stored in a safe environment. Our Round Robin Lead Distribution feature within Webxloo’s CRM automates your lead assignment process and makes sure that all of the new leads are divided equally among your Sales reps. You don’t have to waste time manually assigning leads to each rep. The system has got you covered by making sure that nobody is overlooked, meaning every lead will be properly followed up on. You won’t forget to bill a customer either. The system will automatically generate up-to-date invoices and send them out via email before they’re due. Your Sales, Marketing and Support reps have plenty of tasks that need to be done in a timely manner. But we are only human after all, and being reminded of the most important as well as the so-called minor issues helps everyone to always stay organized. Email & SMS Notifications sent directly to your team members will update them on new cases or opportunities that have been logged. Webxloo’s CRM Analytics helps you to make better business decisions by converting data collected about your customers into useful information. Aggregate your organizational insights and present it in an easy and understandable way that really makes more sense. Track the level of engagement that each prospect has based on their behavior, e.g. number of opened emails, clicked links, or filled out forms. Such a segmentation will allow you to then organize prospects into different groups: those with a low lead score and those with a high lead score, and then tailor different types of pitches & conversations for each of those groups. We know that many of our clients use Microsoft’s email services on a regular basis. That’s why our CRM system has a tight integration with Outlook, which makes it possible for your team to work within a familiar interface but still be able to do many new things. These tools enable you to effectively follow up with your sales leads in a timely manner. For example, if a new sales lead isn’t followed up after a defined period, let’s say 15 minutes, the salesperson that the lead is assigned to is notified by Email or SMS. If there is still no activity with regards to that sales lead after a second defined period, i.e. after 30 minutes, the sales manager is notified by Email or SMS. You can easily change the settings and specify when the case gets escalated, what happens when the case is escalated and who is notified. It’s essential for you as a business owner to have all of your contact records in one database. Webxloo’s CRM will help you to create a solid structural organization within your business and to be able to appropriately follow up on your prospects and customers accordingly, segmenting them if needed. Our CRM system will help your Sales, Marketing, and Service reps to collect all of the data being created both online and offline, keep track of it all, and then take appropriate action. Contact us today to significantly streamline your business processes and daily activities, and enable you to focus on what matters the most.